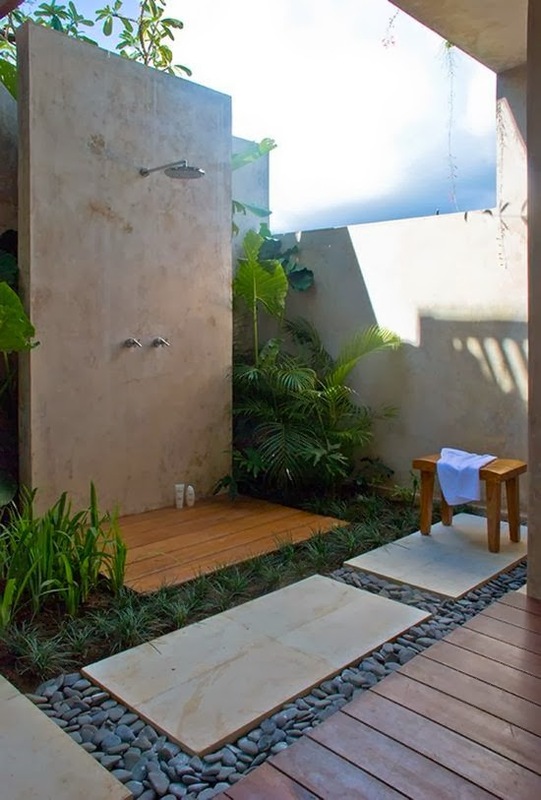 The more we head into winter, the more I think about gorgeous outdoor showers. Ahhh, what a treat it would be to stand under one of these beauties after a long blissful day at the beach or swimming in the pool. Hey, I'm not fussy, pool, beach, both, all sounds good to me. 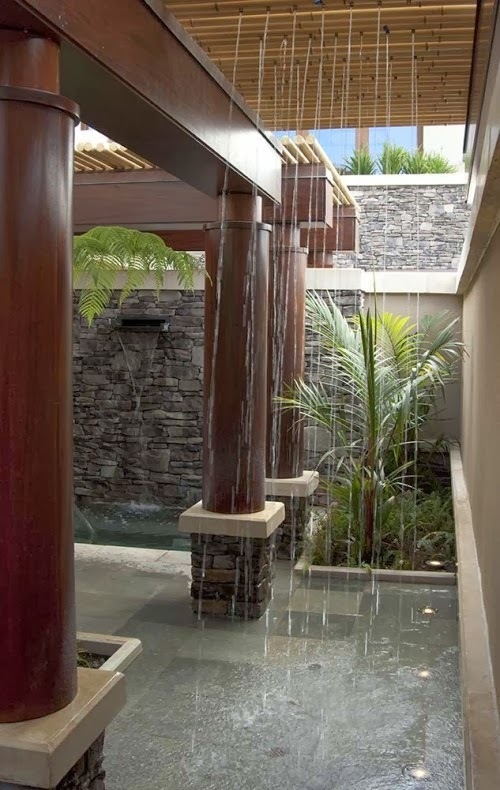 If you have a summer home or live in a hot climate, then an outdoor shower can become a reality, so why not make it as spectacular as possible? Create your own private outdoor oasis. 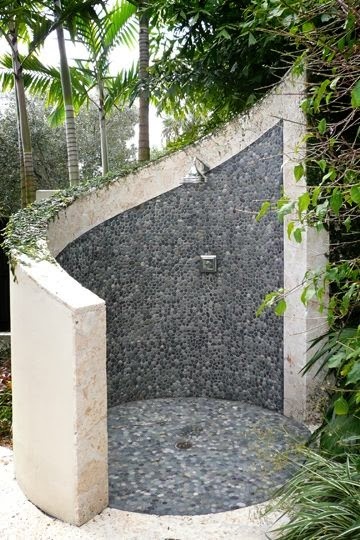 It really doesn't take much to create a breathtaking look, they are all basically a combination of cement and pebbles, so really, why not make a statement? 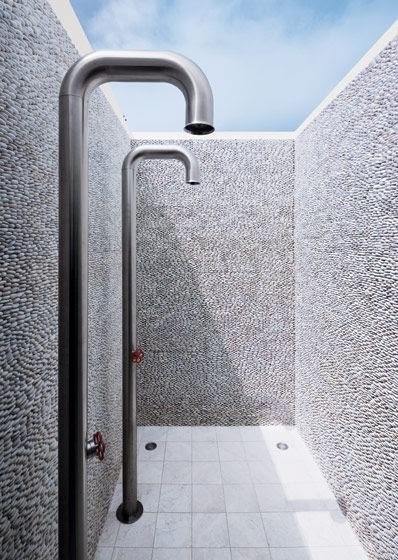 The dual showers above is from architect West Chin's Long Beach home. What's super cool about it, is that there's a retractable roof so it's both an indoor and outdoor shower. The perks of being an architect - coming up with fun details to add to your own home. Aren't the flowers so pretty? 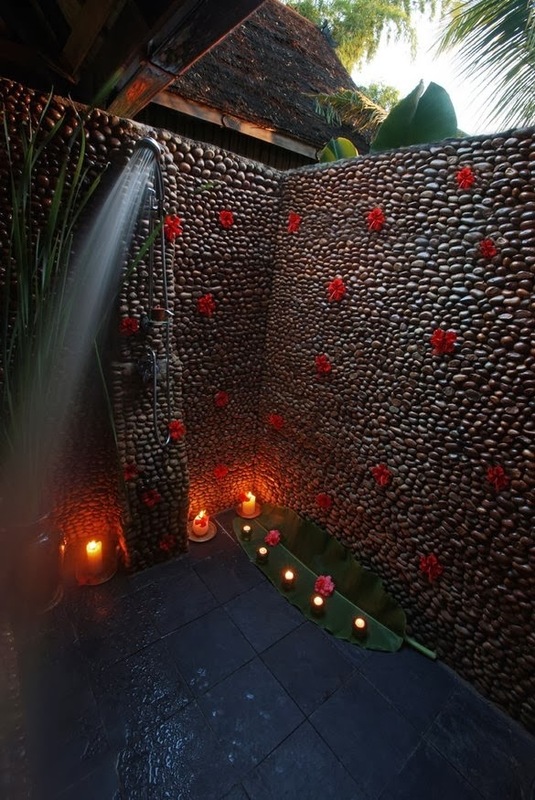 When I think of a perfect romantic, tropical shower, this one fits the bill 100%. It has me dreaming of late night showers in Hawaii with the fragrance of hibiscus flowers scenting the air. This one has me thinking of the beaches of Bahamas for some reason. Can't you just picture draping your colorful beach towel on the edge of this shower? here screaming their lungs out. 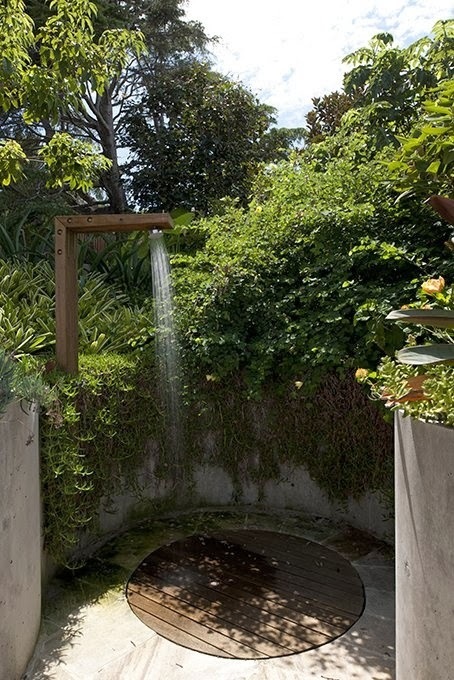 I really like the look of the round shower floor and how the lush greenery provides the perfect privacy. All I'd need is a soap on a rope to enjoy this great shower. Got a favorite from these 6?